The Arctic Challenge began on Sunday. So far it's been a grueling trek in Greenland, which according to Alicja should be re-named "Grayland". The terrain is terrible, icy, and rough; basically the trail is not only un-runnable, but it's practically un-walkable, too. The mountains are extremely steep, and icy - they are having to climb the mountains on all fours and then go down on their backs. The rivers are deep and have very fast currents; Alicja and her 2 companions are soaking wet and cold. The original plan was to run from west from Kangerlussuaq to Sisimiut and back, then east to Russell's Glaciers and back to Kangerlussuaq; however, their plans have changed. Because the conditions are so rough and it's taking them much longer than anticipated (it took them 9 hours to cover 12 miles yesterday! 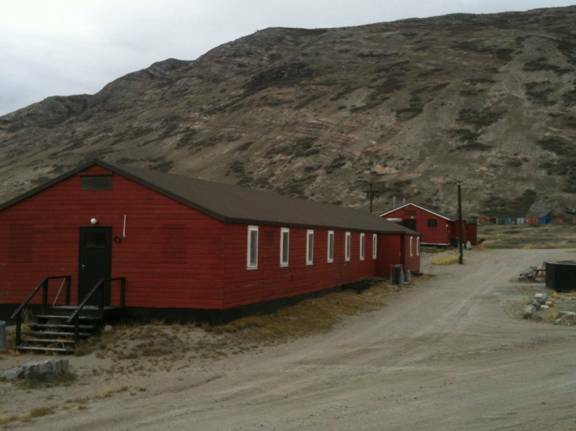 ), they will be completing the 1 way to Sisimiut and will then take a train back to Kangerlussuaq. Rest will be needed and welcomed by that point, I'm sure! They will then run to Russell's Glaciers and back prior to returning home. Alicja thanks everyone for their donations, kind words, and good wishes. She is very grateful to you all. Please keep Alicja and her companions in your thoughts as they take on what truly is an Arctic Challenge!